It is a fair assumption that by the time the industrialist and the course architect drove past the turreted caretakers' house marking the entrance to the Elks' new country home, they had already bonded. John W. Kaufman and Donald Ross possessed traits and experiences that each man would have admired in the other. Both exhibited a capacity for risk taking: John W. by virtue of his gutsy and hugely successful acquisition of Marble Cliff's quarries; Ross by forsaking his comfortable position as the Tom Morris trained golf professional at Dornoch, Scotland, and emigrating to the U.S. in 1899 to seek his fortune. Both derived their living from the land: John W. extracted stone from it; Ross reshaped it. Neither rested on his laurels after initial business success. 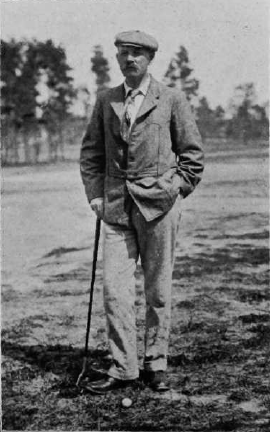 Ross capitalized on the favorable reviews he received for his work on the Pinehurst courses for James Tufts, by expanding his design activities up and down the eastern seaboard. Kaufman parlayed his Marble Cliff Quarries success into an empire by purchasing more mines and other vertically integrated operations. Mr. Ross enjoyed traveling, and would have appreciated John W.'s wanderlust. The Columbus native frequently toured what was still the "Wild West," even writing a remarkable book about his extended western camping trip with five fellow Elks in 1925. Both Ross and John W. were amiable enough, but after the obligatory pleasantries, it would have been their mutual mindset to attend to the business at hand. John W. would have marveled at Ross's often overlooked skill as a golfer. He was one of the game's most accomplished players from 1900 to 1910. During that span, Ross won the Massachusetts Open twice, and the prestigious North and South Open (played at his home of Pinehurst) three times. He recorded five top tens in the United States Open (the same number as Greg Norman). One of the few players compiling a better record during this stretch was Donald's brother Alex Ross- a six time champion at the Massachusetts Open as well as the North and South. Alex is best remembered for winning the 1907 U.S. Open at the Philadelphia Cricket Club with a tally of 302 - 10 better than his big brother Donald who finished 10th. After a sentimental visit to his ancestral home in the summer of 1910 where Donald made a surprising run at winning the Open Championship at St. Andrews (he finished a strong T8 behind winner and fellow outstanding U.K. golf architect James Braid), Ross began phasing out of competitive golf to concentrate full-time on his course design work. During the next decade, Ross cemented his reputation as golf's preeminent designer with architectural triumphs at Oakland Hills, Scioto, Plainfield, and Inverness. 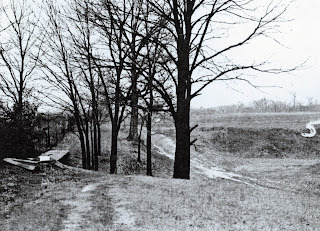 At the time he arrived in Columbus in April, 1922 to start work on the Elks property, Ross was in the midst of the most productive period of his long career. He designed 24 new courses in 1922. . He was particularly busy that season in central Ohio. In addition to commencing the Elks project and finalizing Aladdin, Ross worked on Delaware C.C. (aka Odovene C.C. ), and Springfield. 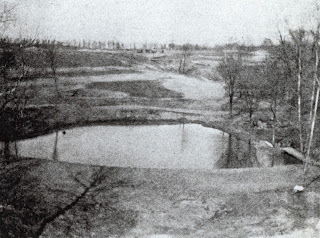 He would be retained to design the Granville golf course in 1923. Upon arrival, Ross and John W. met with the Elks' golf committee comprised of Harold Kaufman, Arthur Shannon, and J.V. Taylor. Harold, John W., Shannon, Ross, and Taylor peruse the topo map below. Often when Ross staked a course, the clubhouse had yet to be built. In those cases, he would sometimes provide input as to where it should be located. Here the country house was already in place. Ross saw immediately that its placement would be perfect relative to where he envisioned the routing for the starting and finishing holes for each of the nines. He spent the day walking the property, setting stakes here and there. By twilight, Mr. Ross had the tentative routing "well in mind." The golf committee was delighted with Ross's reaction to the scenic canvas he was working with. "It's a beautiful spot, isn't it? " he appreciatively exclaimed to OSJ reporter E. H. Peniston in an interview late in the day. The committee had wondered how Ross would deal with the deep wooded ravine that divided the property. There may have been sentiment to locate a green site or two in its valley to take full advantage of terrain's natural beauty. Ross rejected that idea because there was, "so much wash there during the rainy seasons as to make good greens impracticable." Moreover, the ravine was, in his judgment, too wide in most places to be utilized. Thus the ravine would be crossed only twice. However, Ross still found a way to take strategic advantage of the ravine, by using its heavily wooded slopes to shape sharp doglegs on several holes. In keeping with his philosophy of using the ground as he found it to the extent possible, Ross did not see the need to cut down many trees. The architect also observed that maintenance of the course would be enhanced by the presence of the woods because its "carpet of leaf mold will be a real benefit to the greens of the course...since it will furnish the best top dressing and make for the best of greens." Ross knew what he was doing because the well-conditioned greens would be a defining hallmark throughout the course's existence. 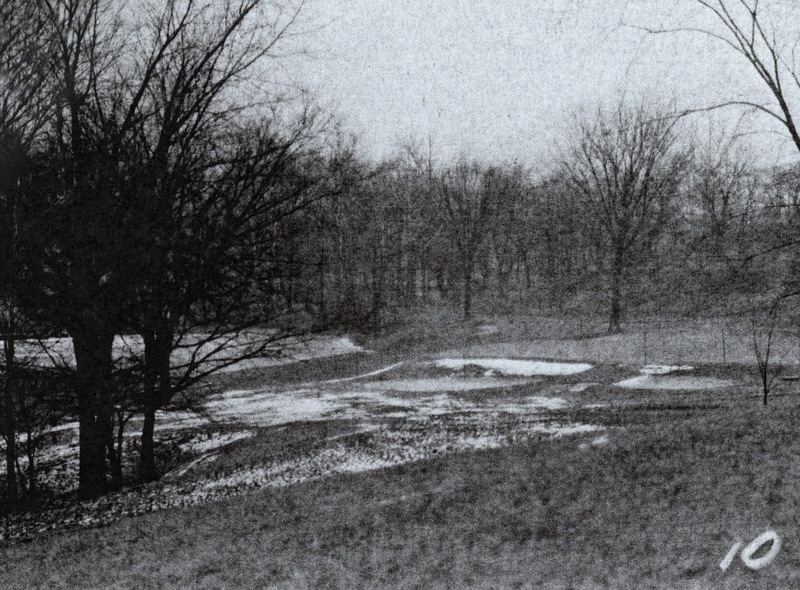 Mr. Ross promised that the Elks would have a "fine course," and a "good test of golf," with "well systematized trapping and raised greens" (an ever-present staple in Ross's designs). Ross was on-site at The Elks from Thursday, April 27th until Monday, May 1st. Watching Ross closely was greenkeeper Lawrence Huber who would have the task of assisting the golf committee with the course's construction. Years later Huber told his son Jim how much he admired Ross's attention to detail. Every stake was set with a eye for how the land would drain in that particular location. Ross's tiling to eliminate moisture collection areas in the fairways impressed Lawrence too. Drainage was something Huber knew something about from his experience farming in Jackson County, prior to his move to Columbus. Ross boarded the train back to Pinehurst on Monday. Working from his cottage bordering the 3rd hole of his beloved Pinehurst Number 2, Ross prepared the blueprints with dispatch, and they were promptly forwarded to Harold Kaufman and the other committee members. Construction and seeding was underway by late spring. 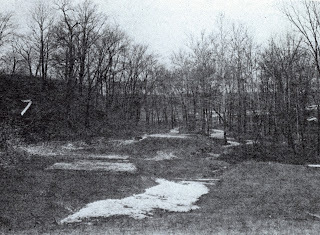 The course began to take shape late in the year as photographs taken by Lawrence Huber demonstrate. 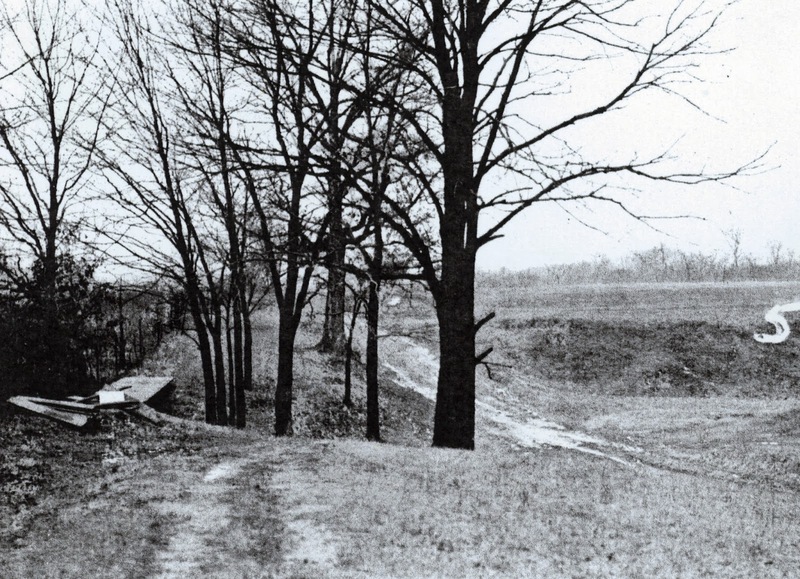 On the third (above), Ross fashioned a classic "Redan" hole (the term "Redan" is derived from a military fortification which is set at a V shaped salient angle toward an expected attack). This view from the tee shows a green, well protected by a yawning bunker to the right and a heavy slope to the left, running diagonally with the right front portion of the green closest to the tee. No doubt Ross was familiar with the original Redan hole- North Berwick Scotland's 15th. 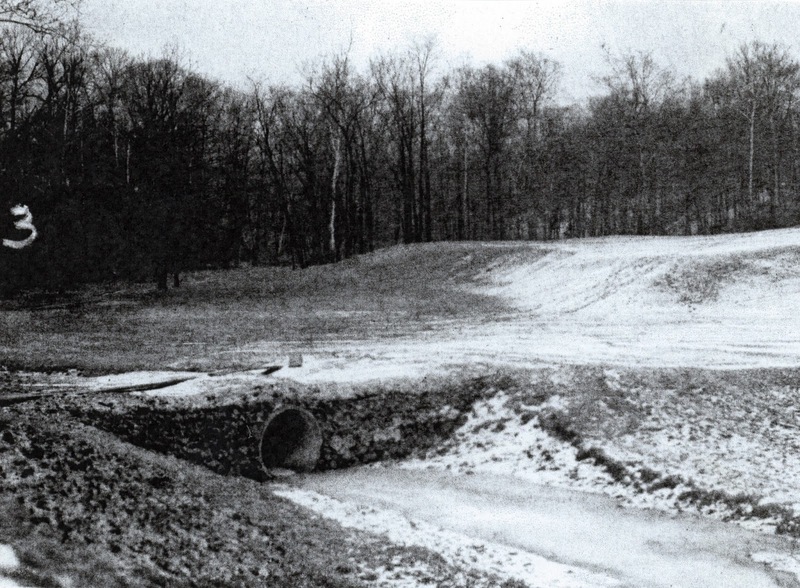 which was copied by Charles Blair MacDonald and other early American golf architects. It is evident from this photograph that Ross was making good on his pledge to build raised and well-protected greens. 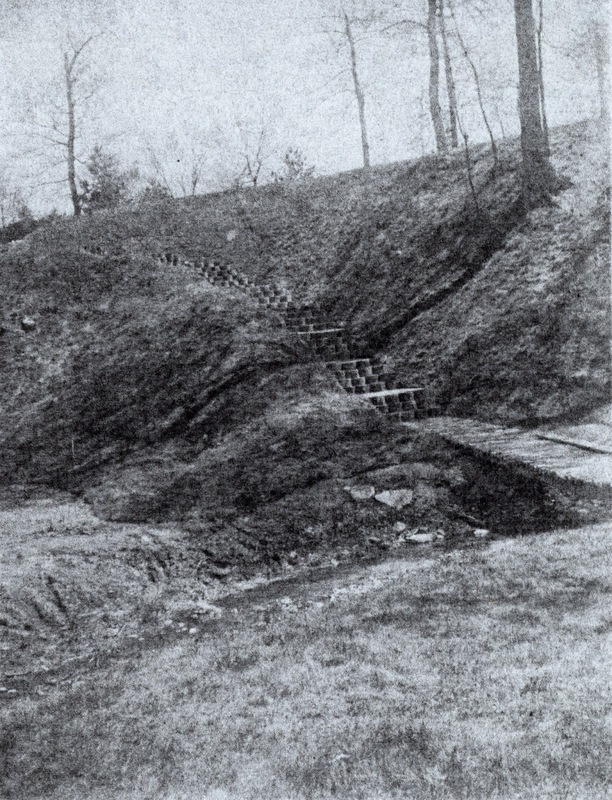 This hole shows another elevated green with run-offs for off-line iron shots running in all directions. The 7th's "turtleback" green, Ross's trademark, is visible. Ross was known for his ability to build challenging short par 4s. Here, it appears that Ross moved some dirt to provide interest and slope on the tee shot. Although they are not visible in this photograph, the 5th green was surrounded by deep bunkers. Ross solved the problem of how to route golfers down the steep ravine by calling for a traversing staircase. Huber evidently thought this clever and recorded it. Using a copse of trees to guard the left side, Ross designed the 10th hole as one of the course's many doglegs. The green appears to be of a substantial size. On the longer par 4s, Ross usually designed larger greens to allow the player some slack on his spoon approach. Below is the signature hole of the Elks Country Club, the 137 yard par 3 14th. Ross was not a fan of having an over-abundance of water holes. But if there was an attractive pond on a property, he would often bring it into play on a short par 3. The view from the hole's elevated tee was glorious. A niblick shot cleanly hit, would safely carry the intervening hazard. However, even in these early stages of construction, it is apparent that the shot had better be on the money or disaster would loom..
By the spring of 1923, everything was on schedule. Once the seeding had taken hold, the course would be ready for play. The Elks members waited impatiently through May waiting for the opening. Finally, John W. decided that the opening day ceremony would take place on Saturday, June 16th. Given the spectacular dedication ceremony two years before, there was rampant speculation as to what sort of show John W. would unveil this time. Would there be a match scheduled of top professionals? Would there be a tee shot hit off number 1 tee to commemorate the opening, and if so who would do the honors? Next Chapter: "Mr. Kaufman- play away please!" This is so cool Bill Case. I get those films transferred and to you on dvd pronto. A really interesting snippet shows a pie shaped green, filmed in color that Lawrence was testing for the USGA of different strains of bent grass. Bill: are there some films I am unaware of that you have found? Sure would like to see them and include them in the blog! I didn't want this chapter to end. I just wated to see all the hole sand then play them. Great work Bill.